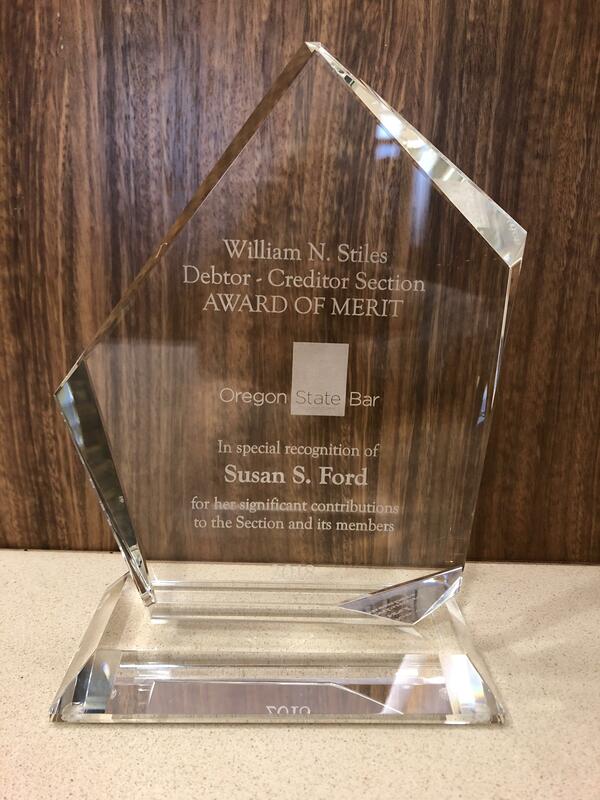 On Friday, November 9, 2018, at the Oregon State Bar Debtor-Creditor Section annual meeting, Susan S. Ford was presented with the William N. Stiles Award of Merit. 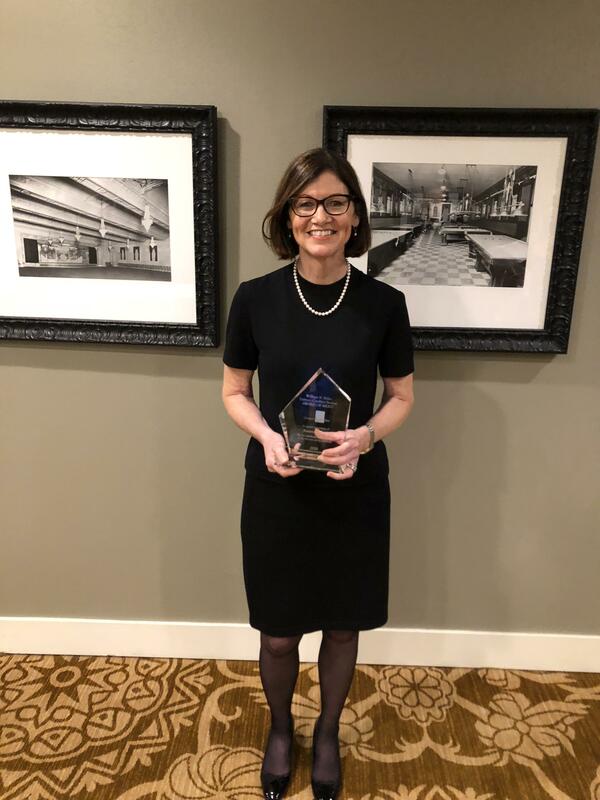 The award represents extraordinary service to the Section, outstanding contributions to continuing legal education, the promotion of professionalism, and meaningful community involvement, including pro bono work. We are proud of Susan's professional recognition, leadership, accomplishments, and contributions to the section and to the profession of law. Susan has over 30 years of experience resolving complex business problems for clients, both in and out of the courtroom. She is a trusted advisor to businesses and individuals on strategic entity governance and restructuring issues, to meet specific company growth needs, or to confront serious challenges caused by distress situations. She specializes in representing all types of parties involved in Chapter 11 reorganizations, liquidations, and receiverships, and also frequently represents clients in commercial litigation cases in state and federal courts. The William N. Stiles Award of Merit is of particular significance to Sussman Shank LLP because it was named after our late partner, Bill Stiles. Bill practiced law at Sussman Shank from 1972 until his death in 2006. 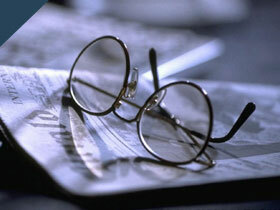 He served as the Debtor-Creditor Section Chair from 1979 -1980 and was the recipient of the Award of Merit in 1996. Bill's generosity, encyclopedic knowledge of the law, professionalism, and high ethical standards made him an ideal mentor and role model to scores of lawyers. For more information on the Award of Merit, click here.